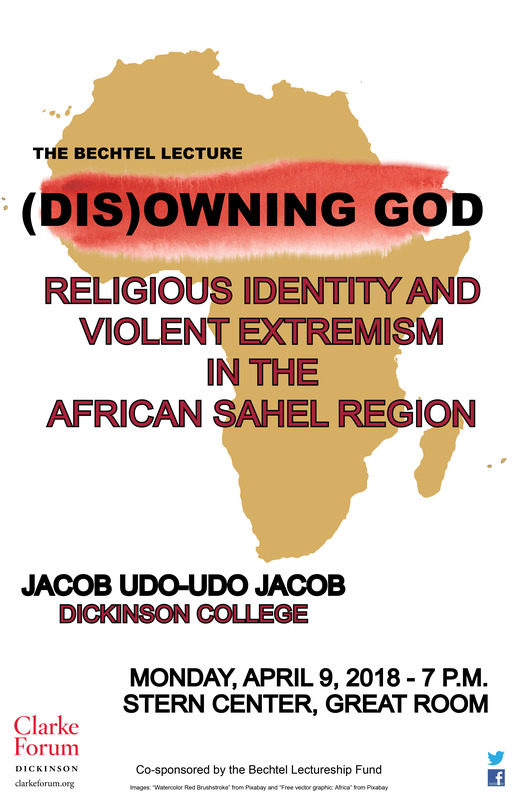 Religious identity, Jacob argues, has far greater normative influence on extremist recruitment and radicalization than religious beliefs and other appeals, but it has rarely been accounted for in counter-narrative campaigns and deradicalization programs in the West African Sahel region. This program is sponsored by the Clarke Forum for Contemporary Issues and co-sponsored by the Bechtel Lectureship Fund. Jacob Udo-Udo Jacob is a visiting international scholar in the International Studies program of Dickinson College. 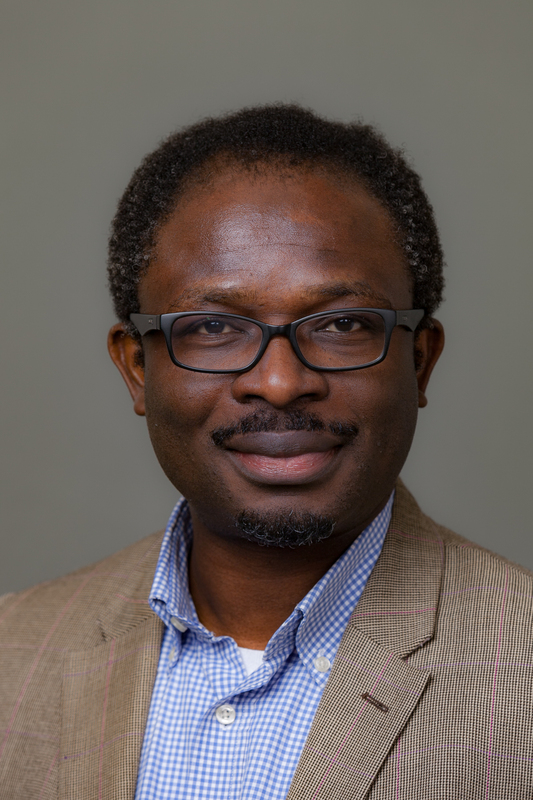 His teaching and research interest is located at the intersection between communications, conflicts and peace building with particular reference to the Lake Chad Basin, Somalia and the Democratic Republic of Congo. Jacob visits Dickinson from the American University of Nigeria where he was chair of the Communications & Multimedia Design Program and interim dean in the School of Arts & Science. He has led the implementation of some very important donor-funded projects in support of peace building in North-East Nigeria and the Lake Chad region including a U.S. State Department-funded CVE project on peace journalism, involving training and working with a network of journalists, editors and influencers to facilitate a more nuanced media coverage of the Boko Haram insurgency. 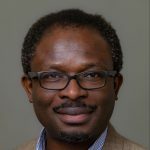 He is the author of Convincing Rebel Fighters to Disarm: UN Information Operations in the Democratic Republic of Congo (DeGruyter 2017). Jacob earned his Ph.D. in communication studies from the University of Leeds, United Kingdom. He has held a visiting position at New York University’s Center on International Cooperation, where he initiated the research project on religious identity and violent extremism. 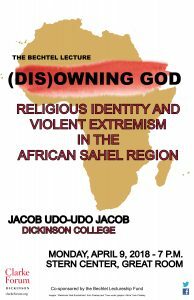 This lectureship was established in honor of Joan Bechtel (Library Resources) and late emeriti faculty Dan Bechtel (Religion) to support speakers and events regarding Africa at the Clarke Forum.